An open application to the university’s Impact Challenge. I am pleased and honored to submit this proposal for Singularity University&apos;s Impact Challenge aimed at solving California’s devastating drought, now entering its fifth year. I cannot express in words my excitement at seeing your call for applications—this is truly a dream come true, and I relish the opportunity. It is vital that we maintain California as the power center of our national food, entertainment, and, most importantly, innovation systems. None of these can survive without water, and they certainly could never exist in another geographic location. What shall feed our organic heirloom tomatoes? What shall cool our servers? These needs will grow especially dire if the state is successfully divided into Six Californias per Tim Draper’s proposal, which may cut some regions off from their existing water supplies but will ultimately lead all of the West to greater prosperity and disruption. Some might argue that Singularity’s award of $5,000 is not nearly enough to kickstart such an ambitious and vital endeavor. 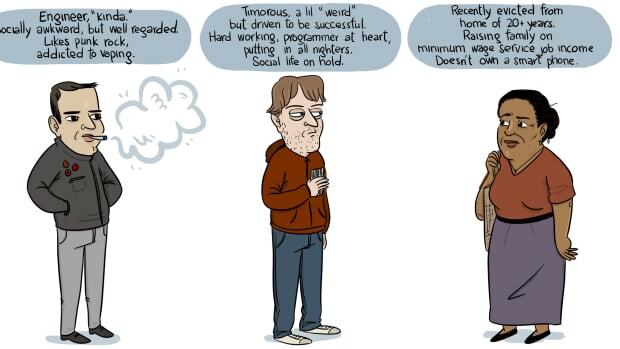 This is the thinking of a defeatist Luddite. But with great crisis comes great opportunity! And no place knows this as well as Silicon Valley. Some might argue that California was never meant to sustain such a large population of residents, or to grow half the nation’s produce. Some might argue that Singularity’s award of $5,000 is not nearly enough to kickstart such an ambitious and vital endeavor. This is the thinking of a defeatist Luddite. In the spirit of the great rainmaker Charles Hatfield, I have proposed not one but six different projects that could innovate this drought and any future one into the analog past. We should be harnessing network effects to mellow more yellow. 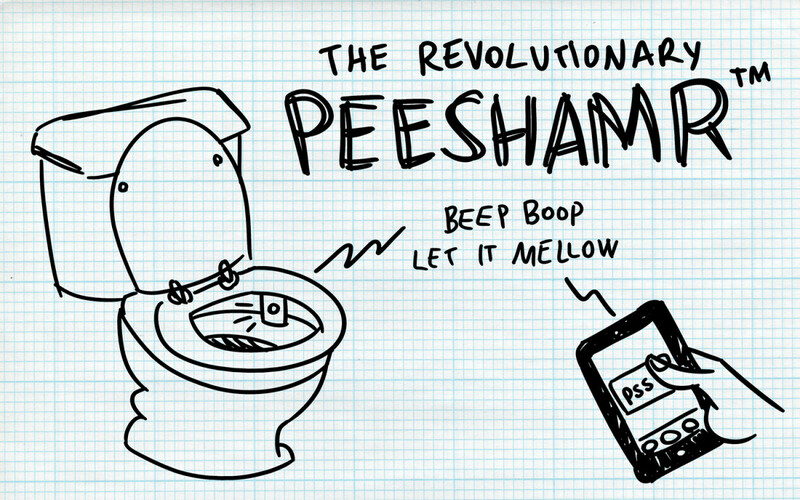 A sensor inserted into the bowl of a person’s toilet would relay a signal to an app on his or her smartphone, which would quickly remind them not to flush. If the person flushes anyway, the sensor would take a video, post the shameful evidence to all social media accounts, and notify all contacts with a text message. 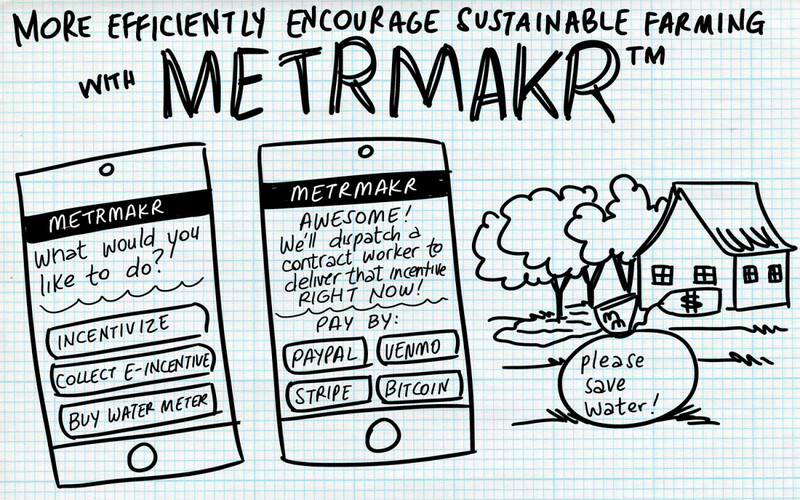 Budget: $500 for subpar app developer to develop app in beta; $1,500 for development of a sensor capable of discerning difference between urine and feces; $3,000 set aside to address inevitable frivolous lawsuits. 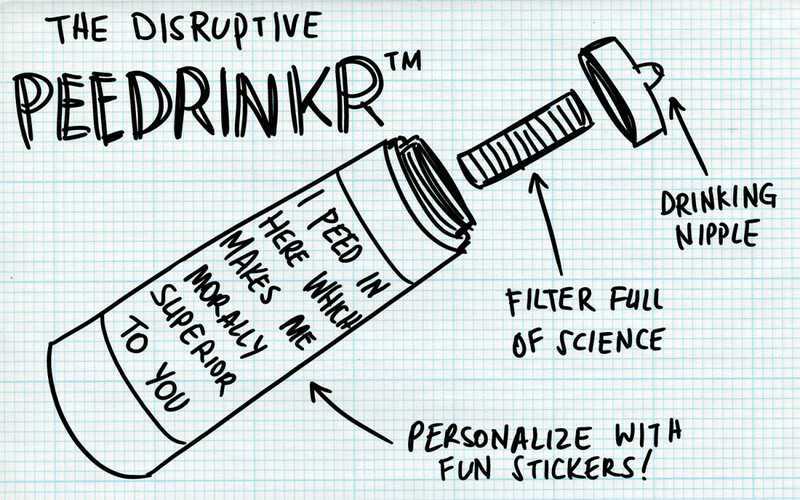 Users would be able to urinate directly into the device, then simply twist, filter, and drink. This technology already exists, but it is woefully underexploited. I propose a Kickstarter to re-brand these devices. There would be an optional add-on for Soylent, but creating a funnel for women would be unnecessarily expensive and time-consuming—this product is simply not a good culture fit for females. Budget: $200 to buy 10 of these already-manufactured devices; $20 to silk-screen new logo on all devices; $4,780 for promotional Kickstarter video. I believe the United States government gave up on these projects far too soon. 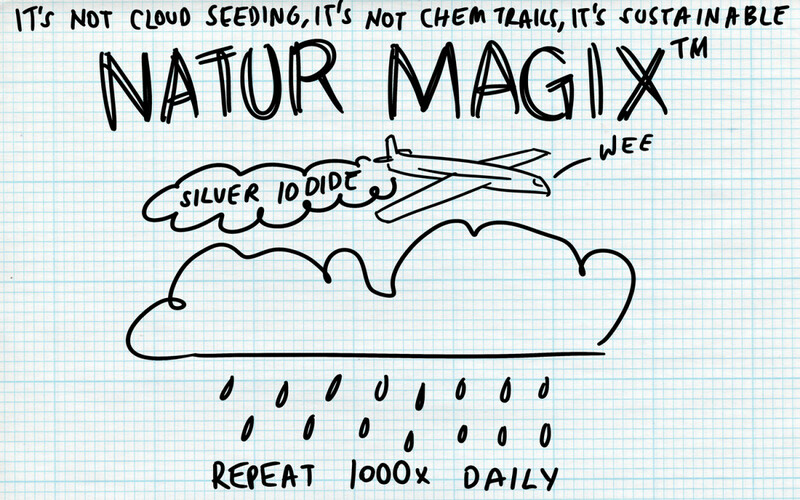 Dropping loads of dry ice, barium powder, and copper needles from the backs of jets and into offshore hurricanes has tremendous untold potential for encouraging the natural rain process. Budget: $500 plane rental; $500 to hire appropriate pilot; $1,000 for a random assortment of chemicals; $3,000 for a scientist with a poor reputation and nothing left to lose. We have enough water indeed—just up north! We should revive Army Corps of Engineers plans to build and operate a pipeline funneling water from Canada to California. Lessons learned from the construction of the Keystone XL pipeline would be highly valuable here, as this pipeline would undoubtedly run through regions with large hippie populations. Budget: $5,000 to invest in initial purchase of Canadian ice to be transported as soon as possible—this investment will appreciate with time. These meters would track groundwater use on public and private wells across California’s fertile Central Valley region, which contains the state’s deepest ancient aquifers. Proper dispensation and use of these meters would provide the state with the first available data on groundwater use. Budget: $5,000 to bribe farmers to use the meters most already have. 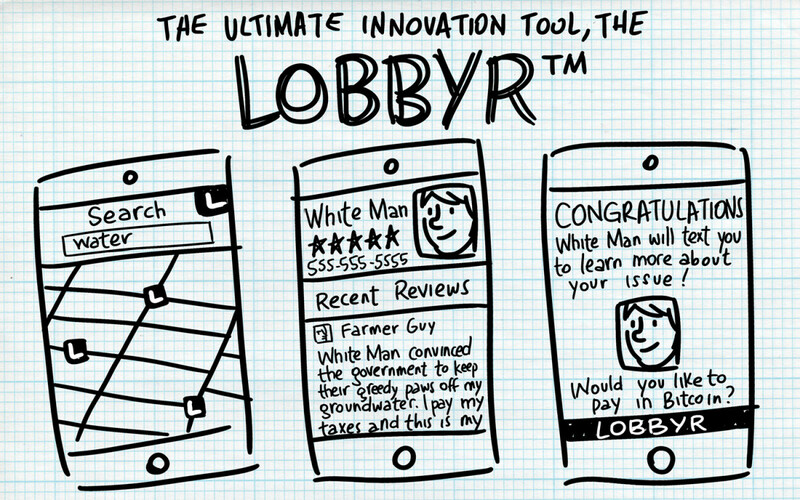 A smartphone app that hires a lobbyist at the press of a button could help ensure these innovations are made to last and aren’t hung up in horrifically antiquated red tape by do-nothing bureaucrats in backwards Sacramento or Washington, D.C.
Budget: $500 for subpar programmer to develop app in beta; $4,500 for 15 minutes of time with lobbyist. I hope you will see the visionary nature of these proposals and accept me as a Startup Lab Entrepreneur in Residence at Singularity University, where I might use the vast $5,000 in funding to make these projects a reality. 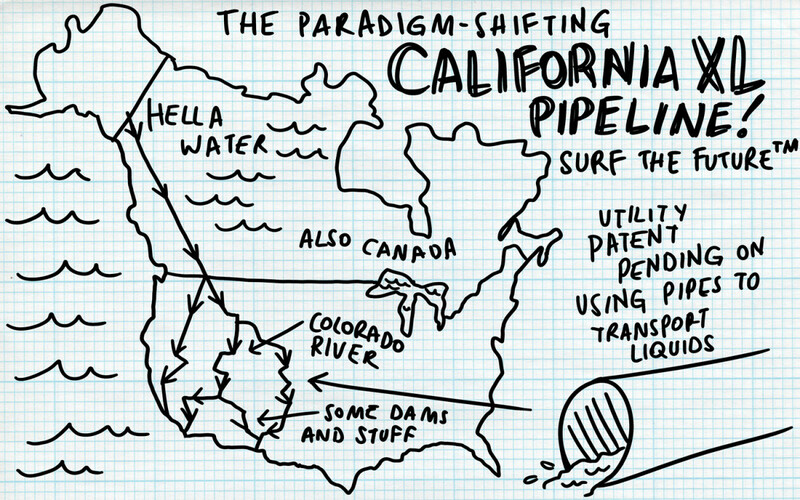 Together we can disrupt nature and the lives of millions of Californians. The singularity is not nearly near enough. The Crooked Valley is an illustrated series exploring the systems of privilege and inequality that perpetuate tech&apos;s culture of bad ideas. 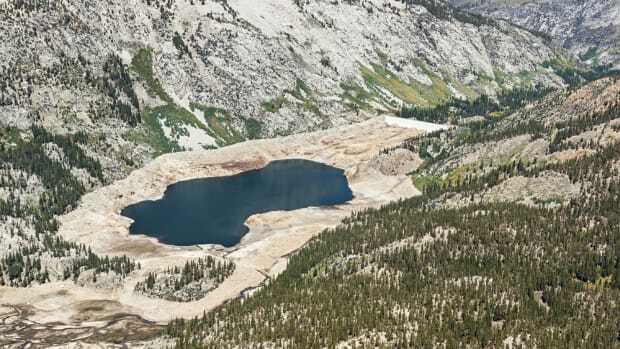 A round-up of news and research on the Golden State's thirst for water. 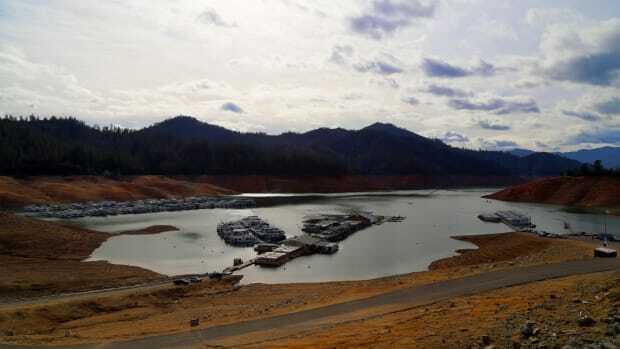 Higher water bills spark ratepayer revolts but may also dampen Californians' proclivity to use more wet stuff than necessary. It's part of a much bigger water crisis in the West. 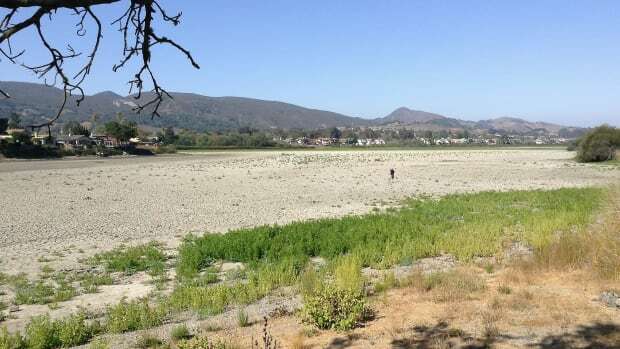 Could Leasing Water Rights Provide a Way Out of the Drought for California? The state’s cities need water. Its farmers have it. Maybe leasing rights to it could solve the crisis responsibly. 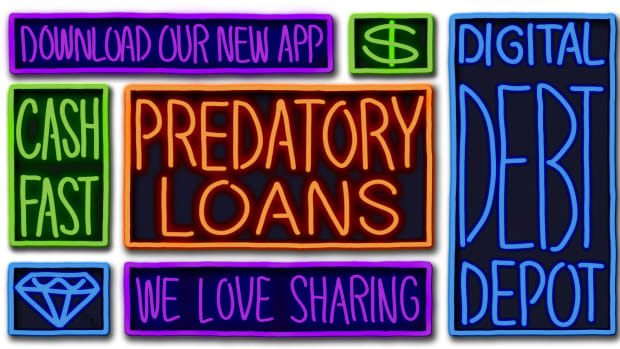 High-interest loans are predatory whether you get them at a corner store or in an app. Media depictions of tech are rubbing some viewers the wrong way—but the entertainment industry is not the real problem.